I was recently sent out a copy of the new book for children called Curlee Girlee. It’s a nice hardcover book with the cutest illustrations and cutest story. It’s a nice story about accepting yourself for how you are and embracing your differences. 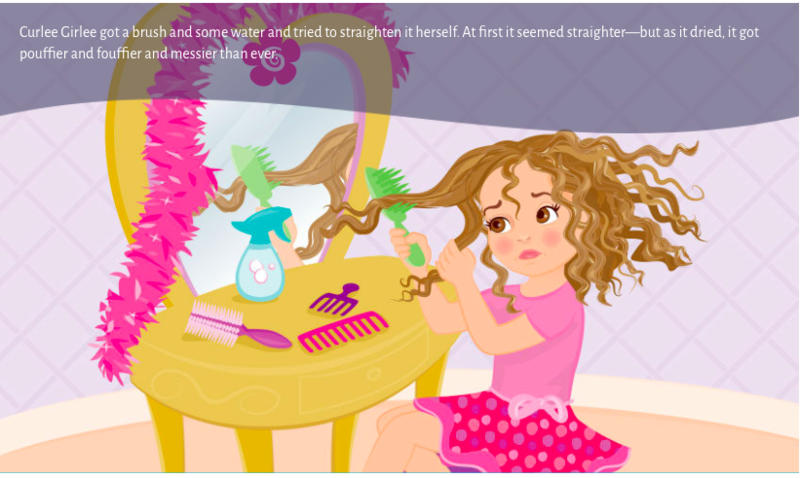 I particularly loved the story because Curlee Girlee reminded me of my daughter who has very curly hair and other little girls would call her the curly hair girl. Any little girl (even straight haired ones) would love the story. Atara Twersky is an attorney and mother of three who divides her time between Manhattan and Long Island. Curlee Girlee was inspired by Atara’s daughter, and written to inspire her and all girls to love what makes them different and value their unique beauty.